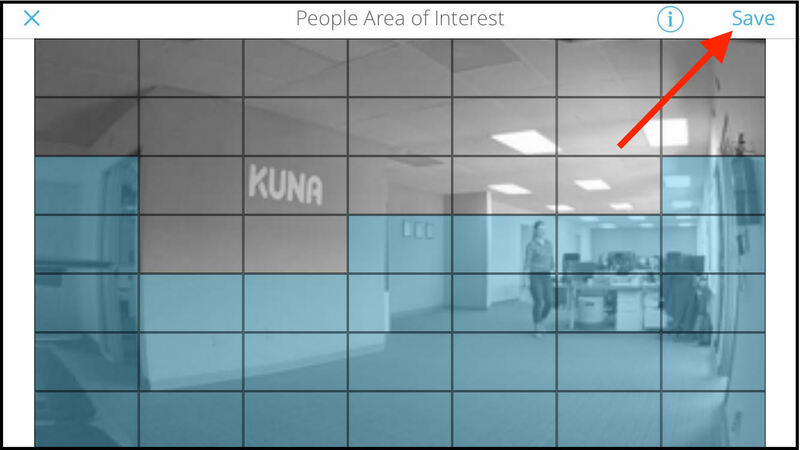 If you’re on a Kuna Premium Plan or a free trial of Kuna Premium, you can activate Kuna’s AI features by going to your individual camera settings and turning on “Smart Detection” under the Kuna AI setting. 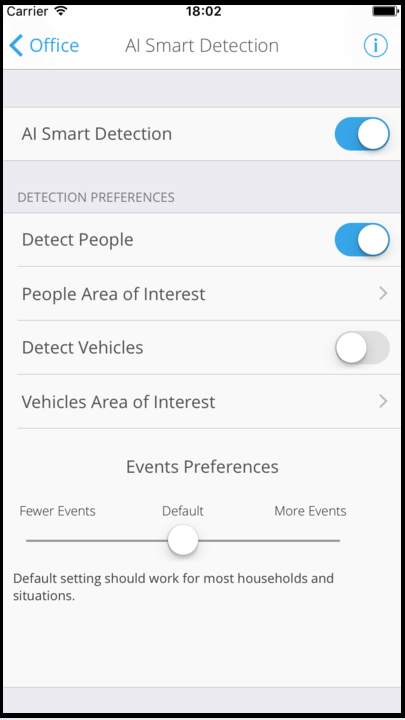 Your Events Preferences slider will control both Kuna AI People (person detection) and Kuna AI Cars (vehicle detection) – if you have either or both of these features turned on. 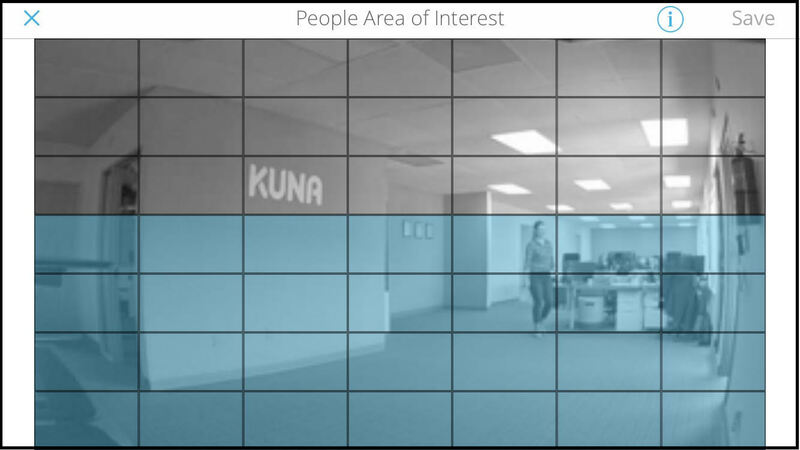 The Default setting for Kuna AI Smart Detection’s sensitivity level is 0, which is designed to work for most environments. If you find that you’re getting too many false detections, or you’re missing detections, you can offset the sensitivity by 25 steps in either direction (+25 for more events and -25 for fewer events). Tap Save in upper righthand corner for your changes to take effect! The Area of Interest sets the region where the AI will send alerts if an object is detected there. Sections of “interest” are denoted by blue rectangles. You can set specific areas of interest for Kuna AI People and Kuna AI Cars – to further customize your detection. Tap and drag rectangles to add or remove them. Tap Save when you’re finished making your selection.